I fell in love with this author after reading Shadow of the Wind - this book has a similar feel. A creepy mystery. It all starts one day when 15 year old Oscar stumbles upon a house he thinks is empty only to stumble upon Hermon and his daughter Marina and an even deeper mystery surrounding a disfigured opera singer and a man who built prosthetic limbs. 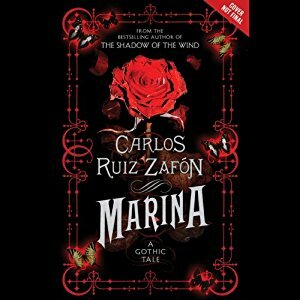 As with most of Zafon's books this one is very atmospheric, you can feel the fog as it rolls through the night, hear the hoof beats of the horses, and feel the soft coat of Marina's cat. A masterful storyteller Zafon transports us to Barcelona, and a creepy tale about first love, loss, and letting go. Scary, sad and beautiful this book doesn't disappoint. Daniel Wyman really does this book justice with his reading. He brings you even deeper into the story with his hypnotic voice.